Medallion materials are die-struck, cast and stamped. 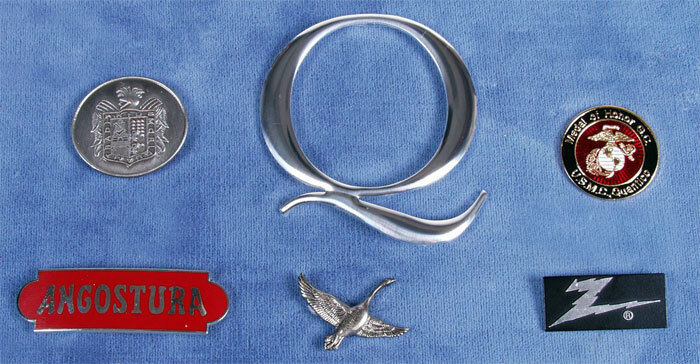 We work in aluminum, zinc, tin and brass as well as plastic. 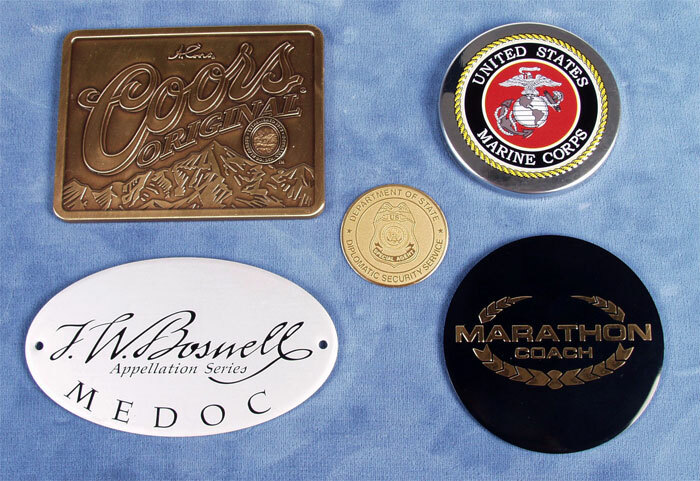 We can incorporate your logo and manufacture in the desired shape, size, and color. Available in any size, shape & color. 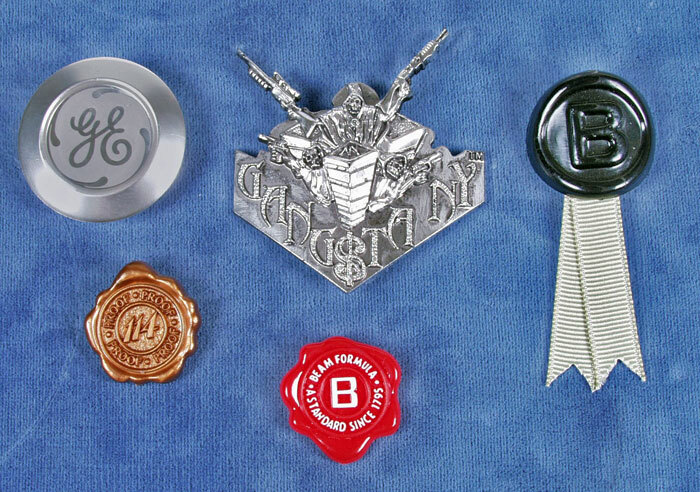 All medallions are crafted & molded or cast to specs. Some Satisfied Customers: Mont Blanc, Heineken, Dunhill, Colehaan Shoes, Revlon, Jim Beam, Jack Daniels, Bacardi, Wild Turkey.